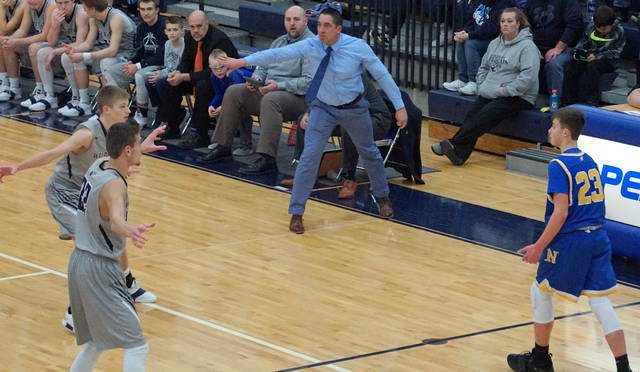 BLANCHESTER – After erasing an 18-point second half deficit, Blanchester faltered down the stretch Friday night and lost to Clermont 64-59 in SBAAC National Divison play at the BHS gym. Clermont Northeastern is 7-7 overall, 6-2 in the division. Blanchester drops to 5-8 on the year, 3-5 in the division. 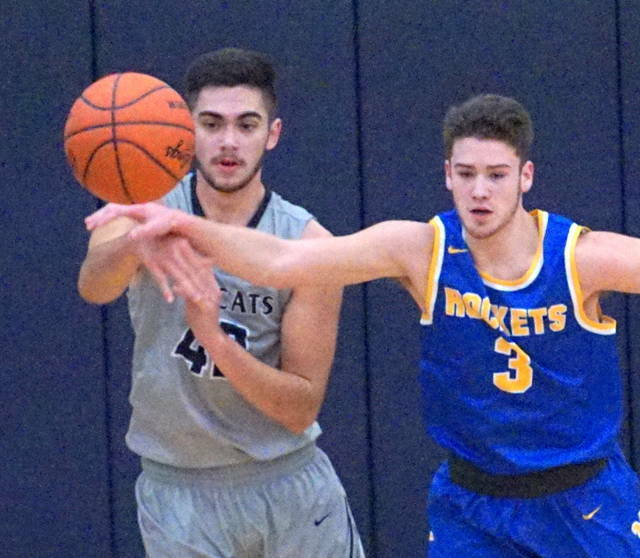 In a battle of two sophomore sensations, Brayden Sipple had 32 points for the Wildcats while Skyler Schmidt had 23 points, 19 rebounds and four blocked shots for the Rockets. A tight first quarter ended with Clermont Northeastern on top 18-16. The Wildcats erased that deficit and took a 20-18 lead early in the second. But the Rockets scored 14 of the next 16 points and took a 10-point lead into the lockerroom, 32-22. The difference grew to 41-23 and the BHS homecoming crowd was getting antsy as the second half unfolded. 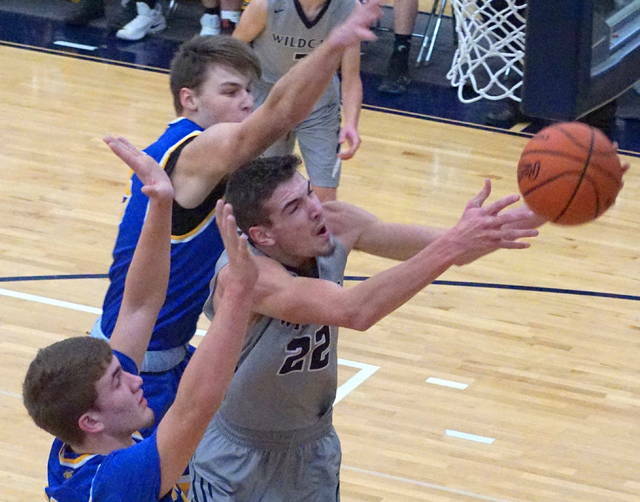 The ‘Cats, however, began to chip away when Sipple converted an old-fashioned three-point play at 5:26. 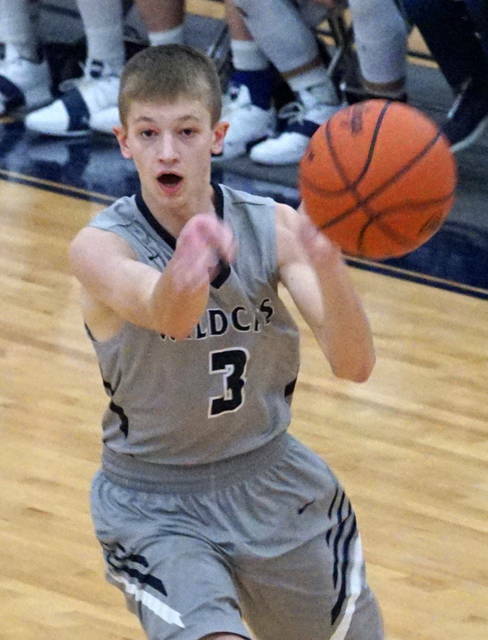 Josh Ashcraft had a big steal that led to a basket then grabbed a defensive rebound and went coast to coast for two, 43-32. Tanner Creager assisted on a Jacksson Waialae three and BHS cut it to 44-39 with 2:35 to play in the third. Ian Heeg’s steal and assist to Hunter Bare made it 44-41. Early in the fourth, Blanchester completed its comeback when Waialae’s stickback made it 45-44 BHS. As it happens so many times, the team the makes the big comeback loses its steam. 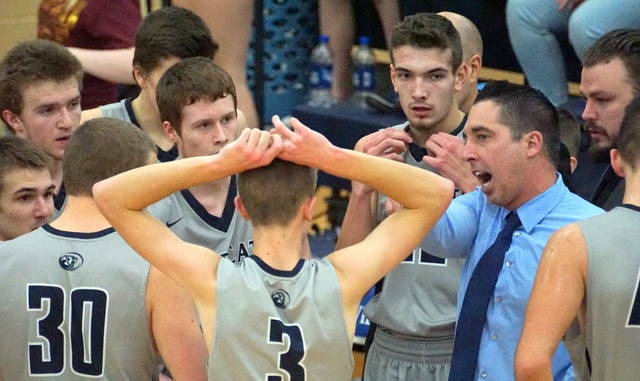 After going ahead, Blanchester fell behind 56-47 and was being beat on the CNE offensive boards. 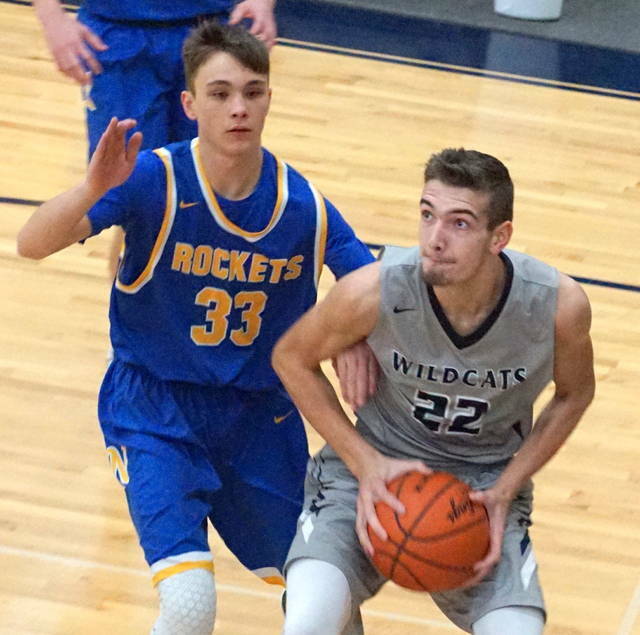 A Creager runner in the lane brought BHS within 60-56 but the Rockets managed to make just enough free throws late in the game to secure the win.